You might not have noticed, but I’ve been pretty busy the past few days, traveling around the East Coast. I’m not going to lie, sometimes this job can get a little demanding. I was all over New York, Pennsylvania – even parts of Boston – making snowy magic happen. I’m exhausted. I’m a beer guy, I make no secret about that, but after I got back home I got a pretty strong craving for some hot cocoa. What can I say? Sometimes the weather calls for a steaming mug of chocolatey deliciousness. - Funk N’Waffles – I mean, you know I love this place. Great vibe, music scene, and every type of waffle you can imagine. I’m talking brownie waffles and blueberry waffles, mozzarella with turkey waffles and BBQ pulled pork waffles. Even a falafel waffle for the gluten free/vegan crowd. But you know what goes great with a waffle? Hot cocoa. And they’ve got that too. - The Half Moon Bistro & Bakery – Listen. This place is one part fancy baked goods, one part fresh and local foods, and 100% delicious. And the cocoa you ask? It’s got whipped cream and caramel on it. - Modern Malt & Modern Malt Bakeshop – Uh huh, there’s two of them. One Modern Malt is a classic American diner with modern twist. The other Modern Malt is a bakeshop. 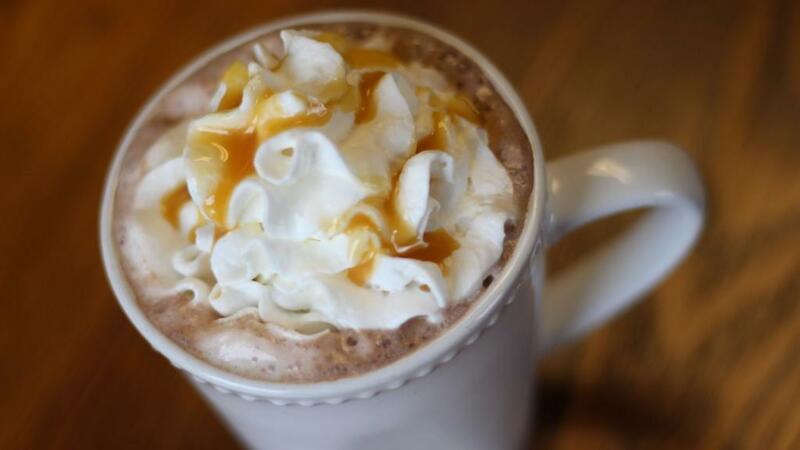 And both carry homemade hot cocoa, topped with a tower mount of whipped cream, marshmallows, and chocolate syrup. Ohhhh, yeah. And you can’t go wrong with a good ‘ole mug of diner cocoa – like local favorites Nick’s Place, or Stella’s Diner. So, grab a mug and enjoy the gift of fluffy whiteness I have given you! Now that I’ve blizzarded across the whole northeast (you’re welcome), it’s time for me to kick back and enjoy one myself.